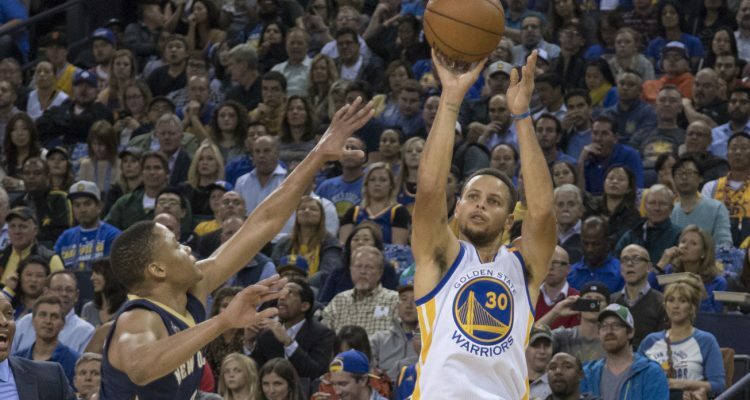 No matter who walked into the interview room after the game, the theme wasn’t Stephen Curry record-breaking 13 3s in a 46-point effort that propelled the Golden State Warriors past the now 0-7 New Orleans Pelicans in a 116-106 tilt. 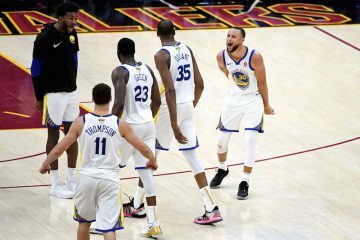 That highlighted Curry’s historic night, but it was verbally overshadowed by Steph, Draymond Green, and Steve Kerr’s insistence that the growing pains were normal. That this offense would find itself sooner than later, and until then, Curry’s normalized heroics would reach legendary bounds came at a thrilling price. Midway through the press conference, Kevin Durant popped into the room and yelled, “Good game, Stephen!” It might sound like the Warriors are having fun off the court, but on, they are grinding. Overpassing, lack of spacing, and the herky jerky nature of their flow given the lack of defensive stops have given way to an almost unrecognizable team on the court. 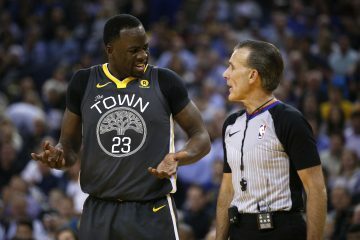 With the ball less in his hands than ever, Draymond tallied up 11 assists but the offensive tic-tac-toe flow is not there save for a few clutch minutes in the 4th quarter. 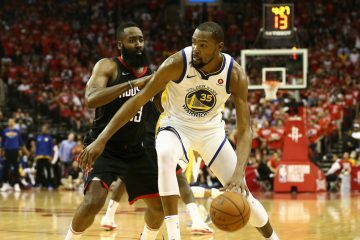 After the game, Kerr lamented KD’s lack of aggression, noting he never wants the multiple time scoring champion to ever overpass the way he did in the beginning of the game. Kerr also went out of his way to praise Green’s impact on the team despite the lesser counting stats from last season. Right now, the Warriors are feeling each other out, all while piecing together offensive outbursts that would leave lesser teams giddy. The flaws are running nearly rampant. Zaza Pachulia can’t protect the rim, though Green after the game noted that despite his lack of rim protection, the defense has to find a better way to send defenders into his great defensive positioning. Perimeter breakdowns are occurring early and often as rotation players like Ian Clark, David West, and Kevon Looney are getting used to playing with old standbys like Andre Iguodala and Shaun Livingston. But like every game in the last three seasons, Stephen Curry has the singular ability to mask nearly all flaws. The Warriors won 73 regular season games last year by simply stealing 7-8 from performances that mirrored last night’s effort. Unlike before, however, the Warriors seem to know that these struggles are here to stay, at least for the moment. “Tonight, we had 35 assists, and we’re not clicking at all. 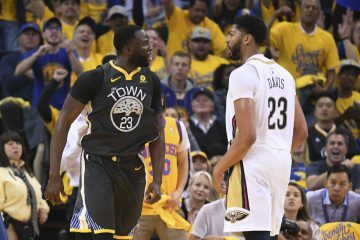 That just goes how good we’re going to be and can be.” As Draymond and the rest have reiterated repeatedly, the Warriors are fighting through the growing pains, except for the part where this version fares much better than most grown basketball teams. Maybe they’ll get there, and maybe they will not. The self-awareness and serene confidence might portend to a denial of what’s to come. As of now, there’s no quick fix. They’ll keep trucking along, blowing out some teams here, keeping most games close there, and coasting through the season in the eternal search of the utopian elixir. 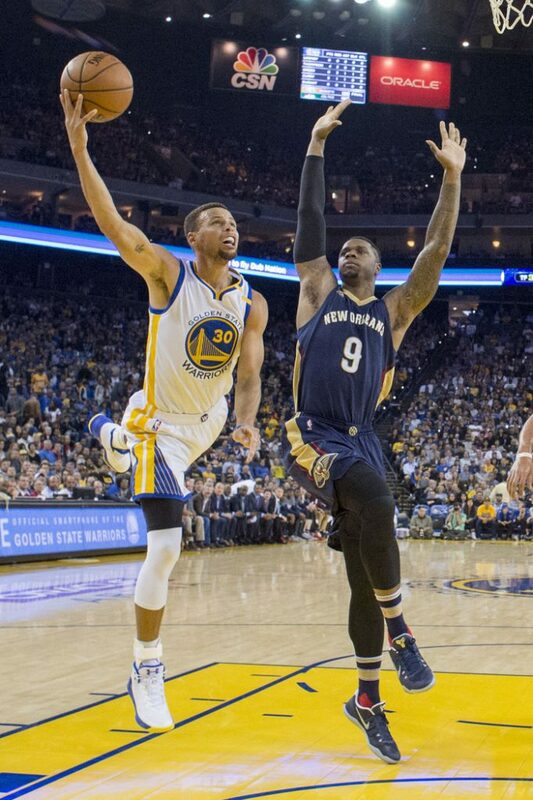 For one night, Stephen Curry found that for himself, and helped bail out his team yet again. Ian Clark isolation defense is still lagging behind the rest of his game. The slashing layups, 3 point shot, and help defense are solid. However, in isolation, he’s sticking his hips out, playing defense with his body rather than his feet. The results are a direct path to the hoop for opposing guards right now. 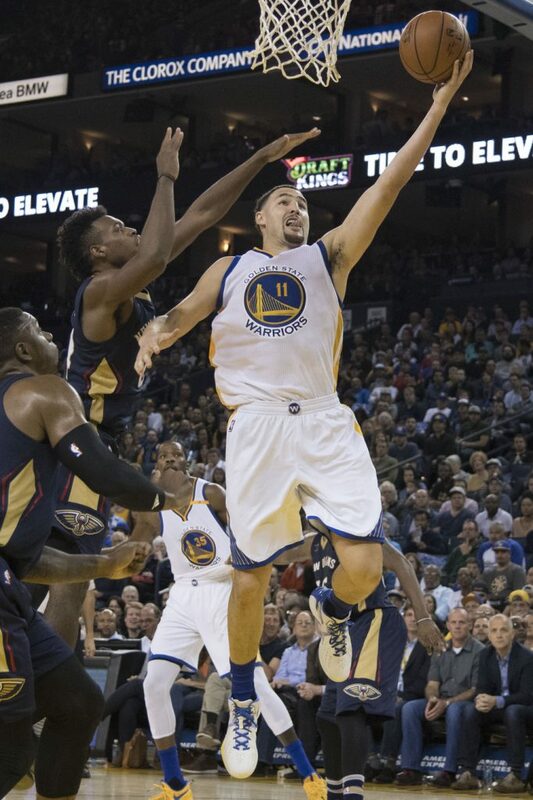 Klay Thompson is apparently now automatic from midrange and a rich man’s DeMar DeRozan. He nailed 2 3s but is still hesitating, and even reloaded on an open look, which is strange considering how easy, quick, and smooth his release is. Steph fielded a question about Klay postgame by saying his works hard and has the confidence to keep shooting, so it’ll work out. For now, it’s still a work in progress. Looney was not only the first big, but the first player off the bench. He wasn’t great but wasn’t bad either. Simply, he allows the offense to run through KD, Dray, Klay, and Steph. With Zaza, the Warriors are running some high-post offense with Pachulia, which allows defenders to stay in the pain and ruin spacing. Reminds of Andrew Bogut, no? Buddy Hield blew by Andre Iguodala for a layup. I wouldn’t worry too much about Iguodala right now as he’s likely pacing himself through the regular season. As the game ended, Anthony Davis didn’t budge from just above halfcourt towards his bench, staring longingly at the Pelicans side, seemingly asking for any and all types of help. You’ve got to feel for the guy. He’s playing his heart out and keeping his team in most of the 7 games they’ve lost so far. Somebody either get him out of New Orleans or get some Jrue Holiday and Tyreke Evans healthy ASAP. It isn’t all Zaza’s fault but the team simply lacks energy and purpose at the start of the first and third quarters. It’s too early for Kerr to make a switch in the starting lineup but man is it becoming difficult to play a center that’s slowly resembling Bogut (unwilling to shoot at the rim) and without Bogut’s rim protection on defense.